Paperworks is regarded by many as one of the biggest challenges and main reasons for companies on switching to digital apps. Papers played a vital part when it comes to business process over the years, that’s why some companies are hesitating to switch, since they think it would be risky to trade paper with electronic documents. But even though the use of paper can’t entirely be removed, at least there are ways on how to reduce the use of it. Here are 6 tips on how you could start implementing seamless process in your firm, and get rid of those nasty paperworks. Even before the rise of mainframes and supercomputers, paper became an integral part in building a business. Years ago, even professional job types are using papers as a traditional material where they can write off anything, from meetings, new incoming projects, transactions, documentation of payments etc. Even I for once, my last resort would be using pen and paper whenever I go to a meeting and forgot to bring my laptop and haven’t charged my phone. 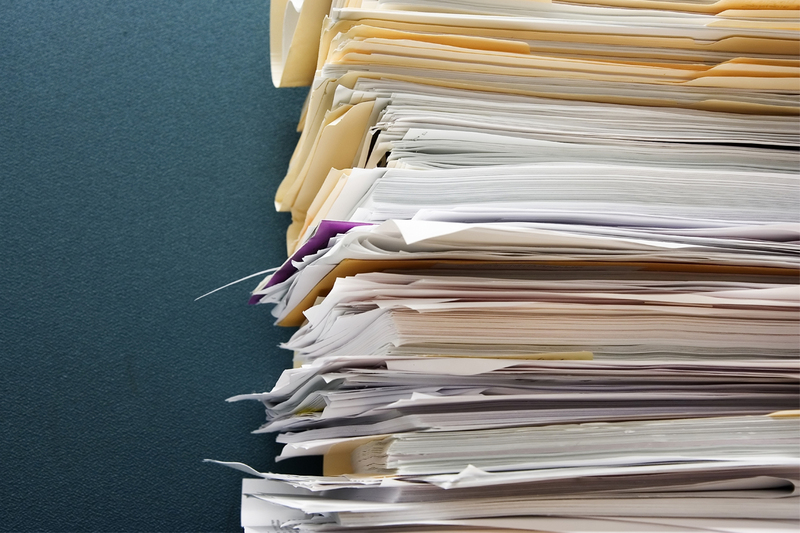 For accountants, the hassles of paperwork is no stranger. Let’s go a few years back on how they are using paper in their daily processes.There are times that they receive a copy of the purchase order, puts it in a folder, then when the invoice comes in, compares it with their copy of the purchase order if all information presented are accurate. Another scenario is when an accounting staff would open a mail which has a bill, puts a stamp to it, then have it signed and approved by several people before the paper file is being entered in a computer. To make things worse, other staff makes copies of the paper documents, doubling the papers and the problem. Not only it wastes huge amounts of paper, but it also consumes so much of the accountant’s time. Like I said earlier, paper has been a part of a business’ success story, and even with the latest technology around, we can’t just remove it entirely from businesses, especially accounting. But what we can do is to reduce the amount of paper by doing these tips below. Not only we can improve our way of doing tasks, but it can also increase our efficiency when it comes to work. First thing you can do is to have your paper documents scanned and have them as digital documents. With this step, you can store them in your computer, and have some backups of those documents anytime. You can also send those documents to your clients as reference when needed. If you are on the AP/AR section, you should also have digital files of your receipts, so that you can have digital copies once you create invoices or bills. Take a picture of it using the camera in your phone and transfer the images in your computer for backup. Most computers have sticky note application which can also act as post-its for all your tasks. They can provide you visual reminders of the things to do, just like a normal post-it, it’s just that sticky notes are electronic versions of it. This can help you on getting organized with all task at hand without the use of paper. There are many accounting software out there which can be a solution when it comes to reducing paperwork for your firm. Accounting software like Xero provides bank reconciliation, generating of invoices and bills, payroll, manual and electronic filing of tax forms for the IRS, tracking, and reporting, which is cost-effective and saves you time and paper. Backups are these things that we can rely on when it comes to sudden situations like crashing of computer unit, calamities or unexpected deletion of files that you need. So instead of starting from scratch when a file is deleted and stacking your documents in a file cabinet, why not have a concrete backup system which can preserve your precious documents. At least you would not be wasting time on doing that file again. Another efficient way for documents to be approved from any location is with the help of electronic signatures, since it helps you on reducing the need for paper as well as ink in signing documents. There are several file management applications which allows users to create and save paperless documents as well as collaborating with team members in fixing errors using the internet. You can also use it when it comes to sending and receiving electronic documents.